Art Antics – more than music. One of the things I love about venues such as the Fringe Bar, is that they are open to exploring creativity and art in a sense that is broader than just music. 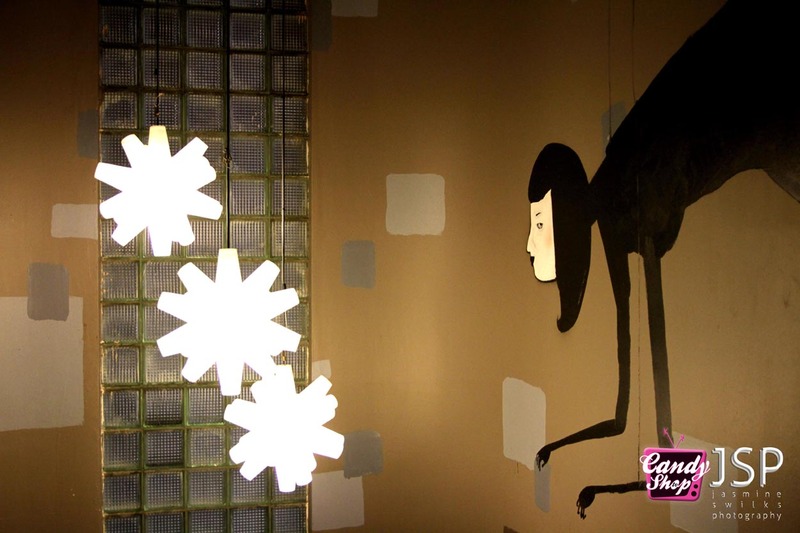 If you’ve ever been there you’ll most likely be familiar with their Kerbside bar, which is an arty room out the back of the venue filled with wonderful craft beers, graffiti sprayed roller doors and an assortment of vintage chairs, loveseats and couches. 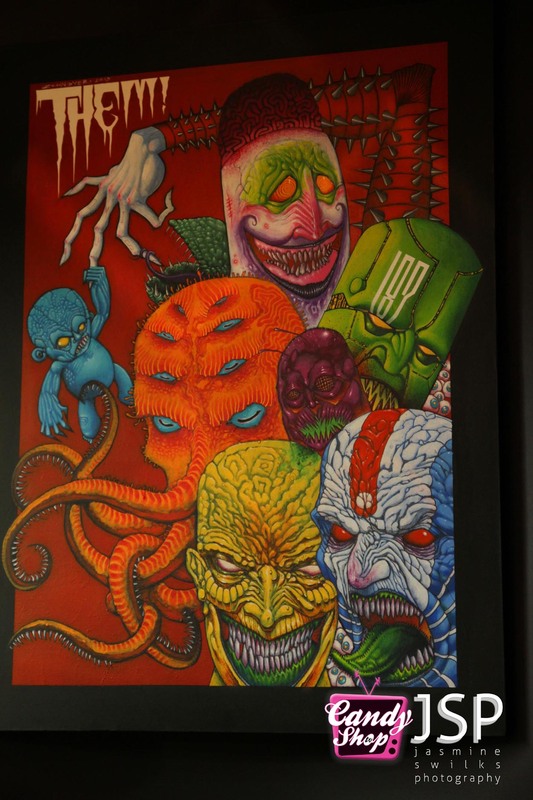 Recently however, the Fringe Bar and Petri Dish have begun hosting regular creative art nights which go beyond your typical ‘beers and bands’ events (which many bars tend to follow), giving locals the chance to enjoy and showcase all aspects of art. One such event is Art Antics, a creation which celebrates a range of arts from dance, to live drawing and artwork. Attending their March line-up, Art Antics appeared to be a great success with the Brisbane community and before long was filled with a diverse crowd of creative art lovers. Out of the many interesting artists performing at the March lineup of Art Antics, one of my favourites was the local dance group Eunoia. The duo is a collaboration between Poppy and Michelle, two dancers who describe themselves as a mixture of contemporary and modern dance, incorporating elements of rock n roll, belly dancing and psychedelia. Dancing to ‘Glory Box’ by Portishead and Muse’s ‘Madness’, the duo awed the crowd with an array of carefully executed classical and contemporary moves (some of which were performed blindfolded) including arabesques, grande plie’s, and a complex sequence which featured chaines and attitude turns. My fascination with the duo also ran deeper than just face value, and is actually quite an interesting story. While talking with a friend between sets, I mentioned that there was something enigmatic about Eunoia that had me stumped. I knew that there was something about one of the dancers which resonated with me – but I couldn’t quite place it. 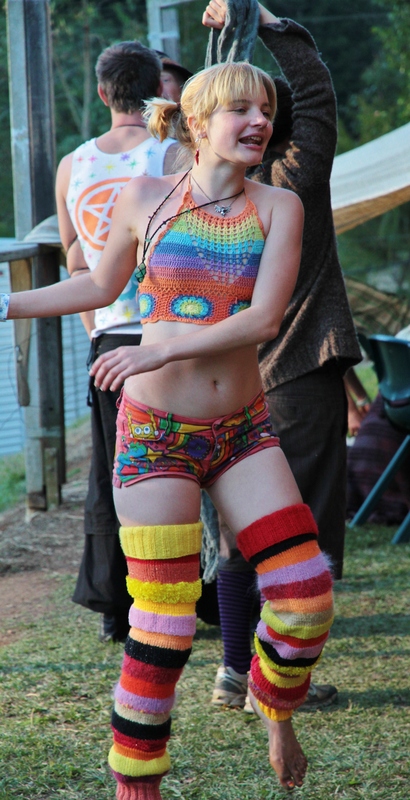 Last year at Elemental Education’s Full Spectrum music/education festival in Uki, NSW I had seen a young blonde woman hula hooping and sword twirling around the grounds, dressed in the most outrageous fluffy thigh socks, painted shorts and tye dye crop top. 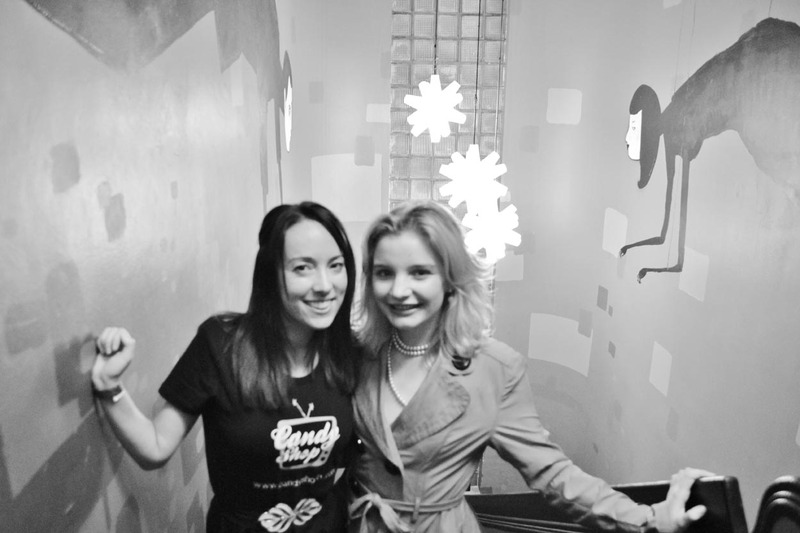 She had this captivating charisma that just radiated from her – and as I exchanged details with Poppy that night I suddenly realised it was her! At this point we both laughed about how true the cliché ‘It’s a small world’ really is, and caught up for a chat. What I also found fascinating was that I had sensed the exact same vibe about Poppy last year. From the moment you set eyes upon her, she is this enigmatic little puff of sunshine, and when paired with the equally talented Michelle, you have a truly captivating act with Eunoia! Following on from the downstairs dance performances, we decided to venture to the upper level to see what else Art Antics had on offer for our visual pleasure; finding that even the journey to the top of the stairwell was visually intriguing. Making our way upstairs we were surrounded by eerie ink figures looming over us; their plump bodies and long limbs drooping suspiciously from the walls like human spiders. Escaping from their hungry finger tips we entered the top floor to find several rooms filled with a collection of art books, handmade crafts and live art. 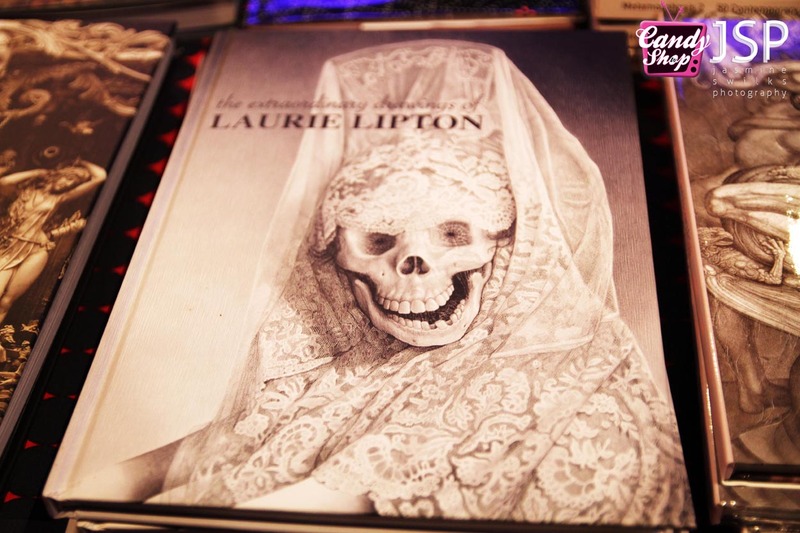 While some were happy to peruse the tables filled with abstract and surreal artwork literature, others checked out the little stall in the corner featuring reindeer antler headbands and other assorted hippy fashions. Upstairs we also found a ‘live drawing’ (not to be confused with life drawing!) session featuring art model Rosie Peaches. Dressed in a vintage bra with floral bloomers, thigh suspenders and threads of pearls draped around her neck, Rosie Peaches posed on one of the couches as a small crowd sat before her sketching enthusiastically. Sitting in perfect stillness she could almost pass for a 1920’s Hollywood wax model, holding each pose for around 5 minutes before briefly sparking to life and taking on a new position. Unfortunately I couldn’t stay for the entire night, but for those night owls who didn’t have to worry about an early start the next morning – or perhaps just weren’t phased – there were several music acts to keep the crowd grooving until the early hours of the morning. Petri dish will be holding another Art Antics night soon, and hope to see you all there! 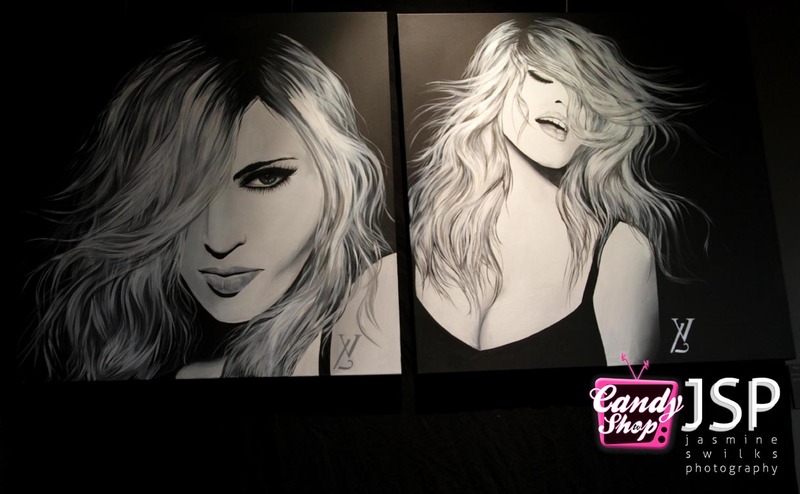 In the meantime, head to www.candyshoptv.com or www.facebook/jswilksphotography to check out all the photos from the night! Previous LADYFEST LAUNCH – celebrating all things female, artsy and creative. Next The Beetle Bar Presents Earcandy #2!